Heel Problems can be disabling and occur in the front, back or bottom of the heel. Heel Calluses are the thickening of the skin around the heel from irritation. If you are suffering from heel calluses, contact Laser Podiatry Associates for a comprehensive evaluation. Don’t wait! If left untreated, heel calluses can lead to more serious complications like heel fissures and infections. Laser Podiatry Associates is just a phone call away. Treatment can vary depending on severity. Drs. Benjamin and Mullendore can recommend the proper course of action once an evaluation has been conducted. Heel Fissures or cracked heels are caused by dry skin and can cause pain and discomfort. If you are suffering from heel fissures or dry, cracked skin around your heel, contact Laser Podiatry Associates for a comprehensive evaluation. Don’t wait! Heel fissures can lead to infection. Laser Podiatry Associates is just a phone call away. Treatment can vary depending on the severity of the heel fissures. Drs. Benjamin and Mullendore can recommend the proper course of action once an evaluation has been conducted. 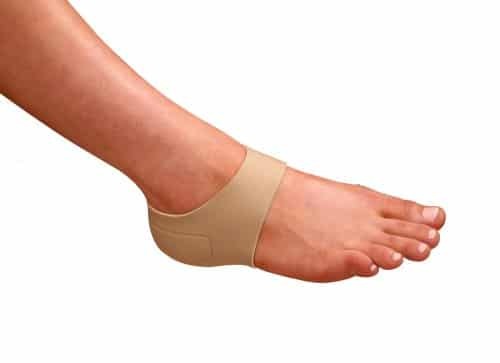 Plantar Fasciitis (Heel Spur) or a bony growth on the underside of the heel bone, commonly seen with plantar fasciitis. This is a very painful and common condition among athletes. If you are suffering from pain that limited your normal daily activities, contact Laser Podiatry Associates for a comprehensive evaluation. Don’t wait! Early treatment can avoid more invasive treatments. Laser Podiatry Associates is just a phone call away.